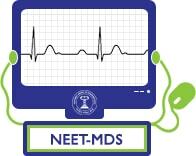 From October 31st, 2018 National Board of Examinations (NBE) will unlatch the NEET MSD 2019 Application Form and the last date to register for the examination will be November 27th, 2018. Applier who is desired to appear to the examination must fill the NEET MSD 2019 Application Form before the specified time. The candidate should also make sure that he/ she succeed in the NEET MSD 2019 Eligibility Criteria before proceeding to the application form. Information Bulletin: The above fee is inclusive of examination fees and information bulletin; Please note that the information bulletin will not be sold separately. Information Bulletin shall be available at the website for information. Refund of Payment: Candidates remaining absent from the examination or declared ineligible will forfeit their examination fee. Candidates are advised to read the rule position carefully and satisfy the terms and conditions for fulfillment of eligibility criteria before proceeding for payment of fees. Note: Fees shall be neither refundable nor carried forward if the application for NEET MDS is rejected is found to be ineligible or candidate is unable to appear in the examination. All candidates will be required to mandatorily upload the image of their photo id that they will be carrying to the test centre on the day of the exam and their DCI/SDC certificate online. Click on the browse button to search for and upload the images. Candidates can upload as well as edit the photo id and the DCI/SDC certificate during the registration window from 25th March 2019 to 30th March 2019. Candidates need to upload Photo Id and the DCI/SDC Certificate on Education Background page while filling up the application form. Documents should be uploaded in PDF format and should be less than or equal to 500 KB of size. While scanning a document candidate should select “Save as PDF” option and Scan size as A4. Please make sure that uploaded scanned documents are clear and readable.